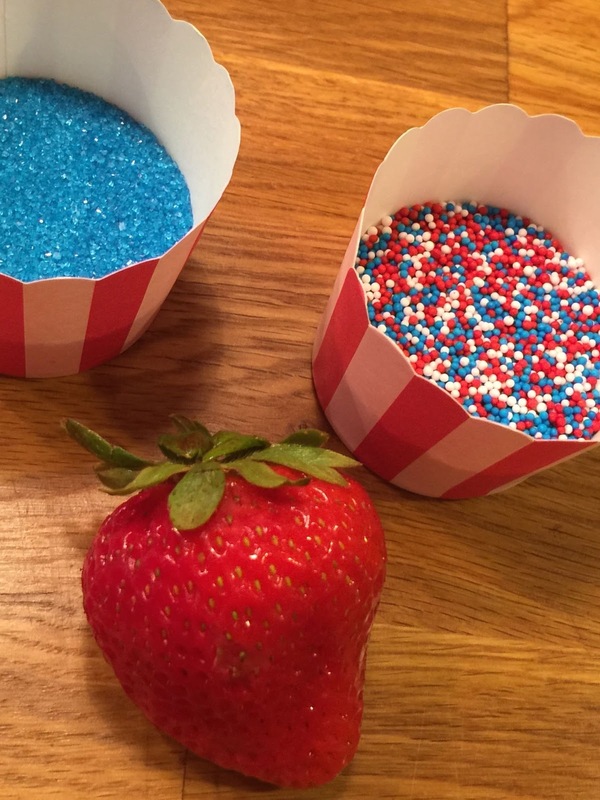 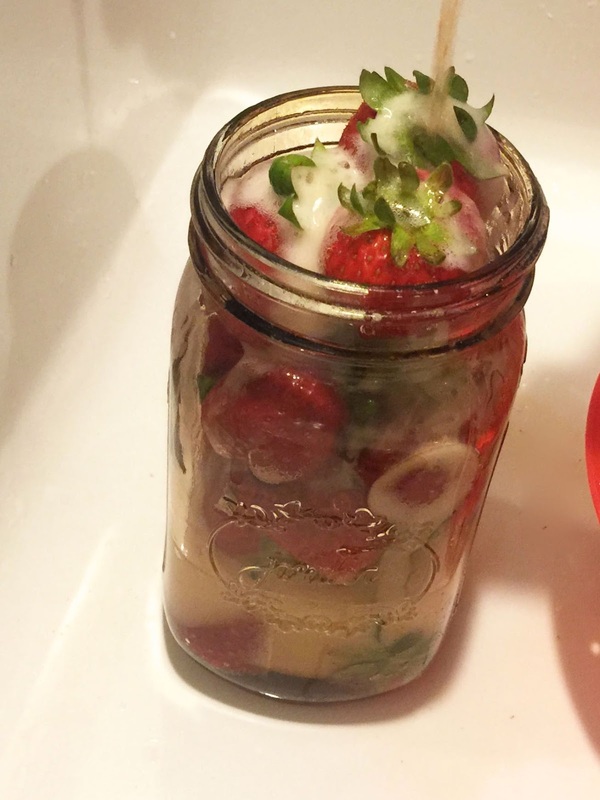 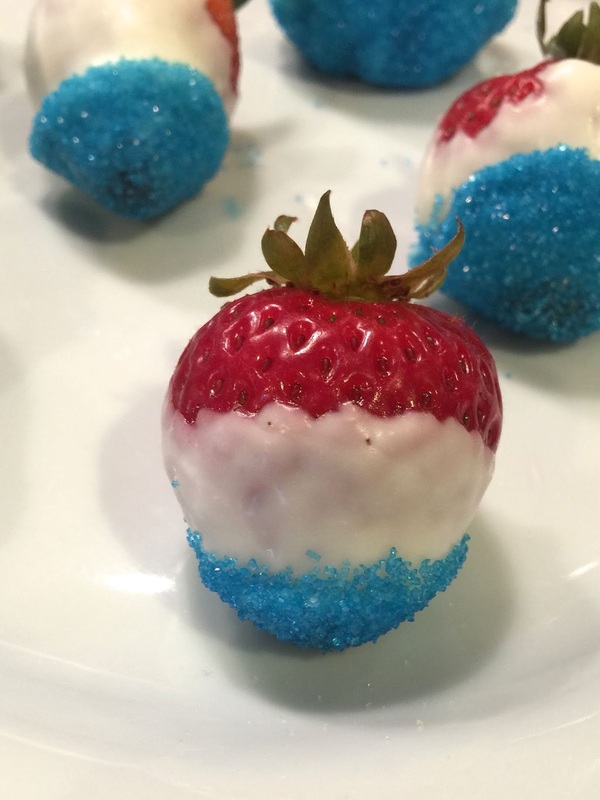 Need an easy dessert for your 4th of July festivities? 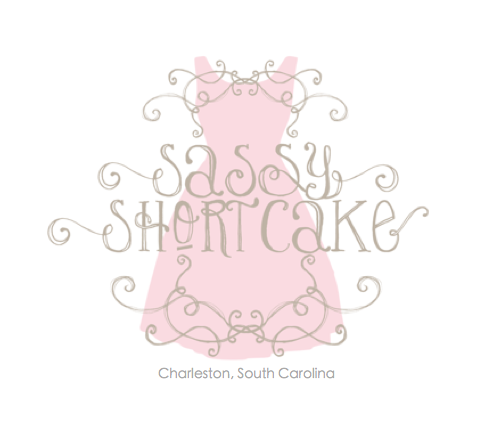 Our Sassy Strawberries may be the perfect choice! 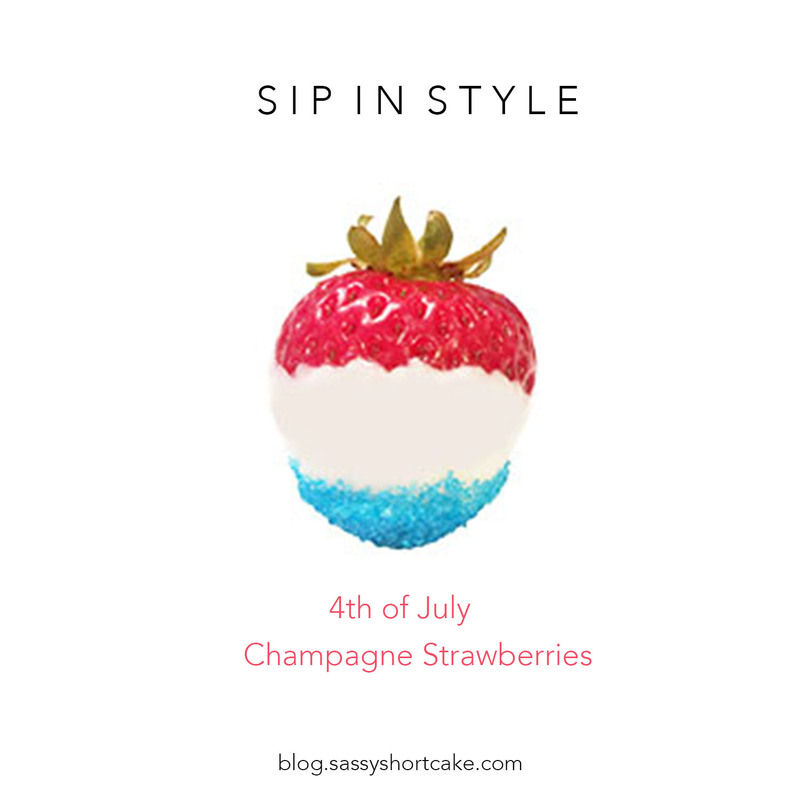 look cute but taste so good! 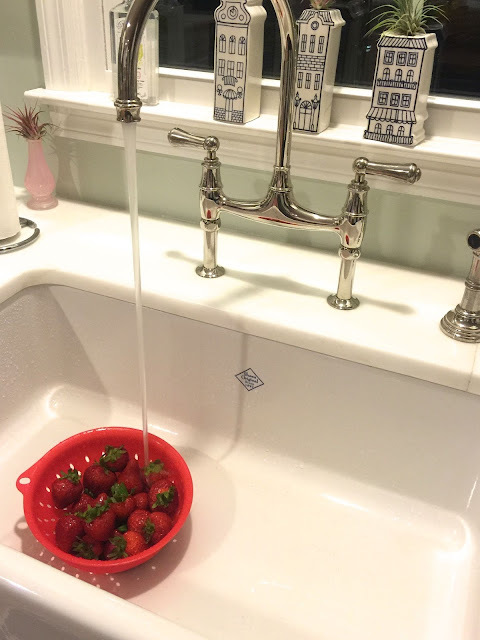 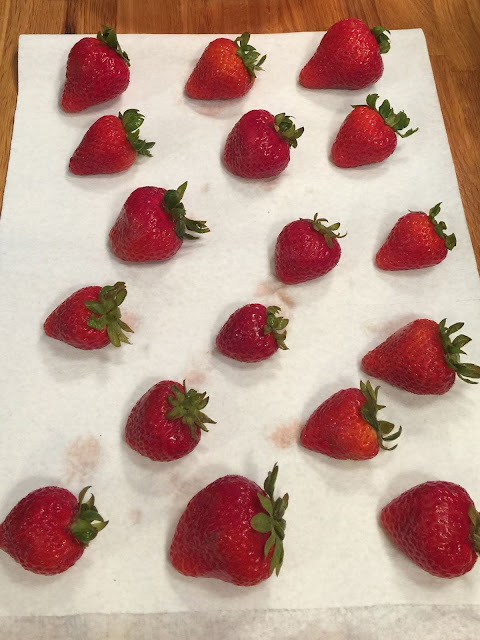 Dip your strawberries in chocolate and allow 15-20 seconds to pass before dipping into your sprinkles. 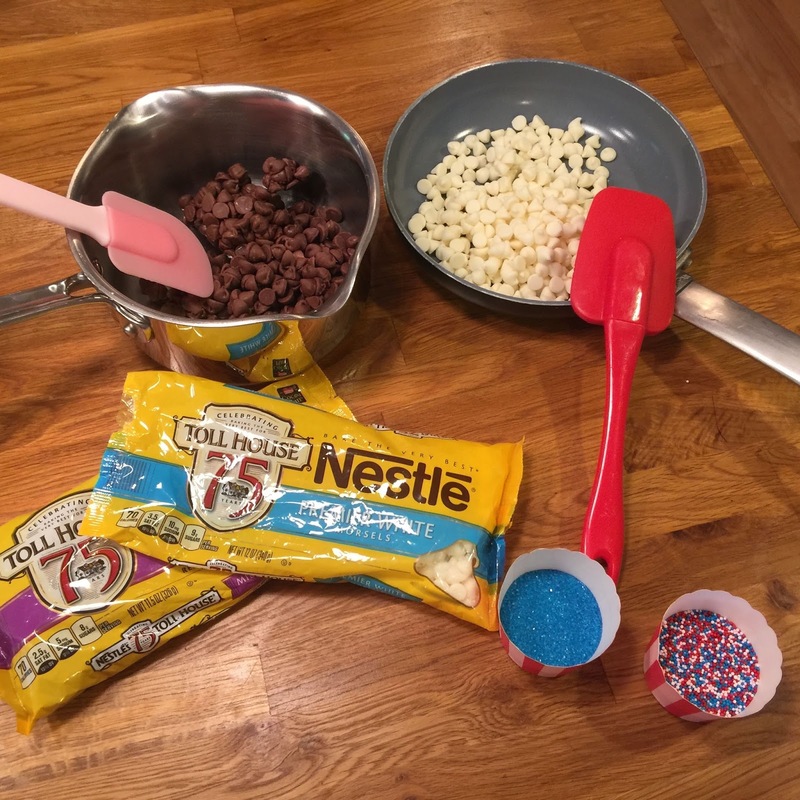 This will allow the chocolate to thicken a bit but don't wait too long or the sprinkles will not stick.